***Videos of Chinese Yoga-Qigong (Chigong) “Energy” Movement. Note: “Qigong” is also spelled “chi gong” or “chi kung”. Find us on Facebook: Country Well Healing! Spring session Hunyuan Natural State Vitality Qigong–(Chinese Moving Yoga )-––(Semesters start in January, April, July, September). Email robin@countrywellhealing.com or call 978-875-5209 for details about this or next season’s qigong topic, location and start date. Tai Chi–Weekly Classes Year-Round Look for classes in new location from September 2019! For details email robin@countrywellhealing.com or call 978-875-5209.. 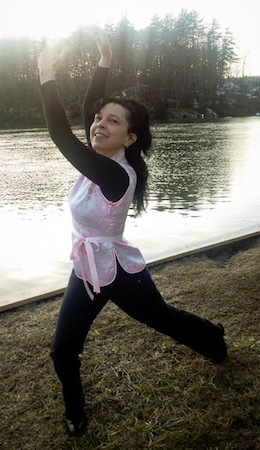 Private energy “Qi” Healings with Chinese Qigong Grandmaster Ou“: April 16, 2019, 1 pm to 7 pm in Bolton MA. Reserve your space for a private healing now: robin@countrywellhealing.com or 978-875-5209. “Pangu Mystical Sun and Moon Qigong Self-Practice Seminar” (Chigong). Master Instructor Robin Bonazzoli: March/April time and location TBA, Join us for a this phenomenal yet simple, nonphysical self practice in meditative spirit-energy healing of body-mind-spirit.